IBM on Wednesday announced its 100th MobileFirst iOS app developed in conjunction with Apple, while also promising to develop for Apple's latest iOS device, the iPad Pro. The company didn't identify the app that pushed it into the triple digits, preferring instead to highlight various clients like Air Canada, Coca-Cola Amatil, Vodafone Netherlands, and the Abu Dhabi Islamic Bank. MobileFirst products are now said to span 14 industries and 65 professions. 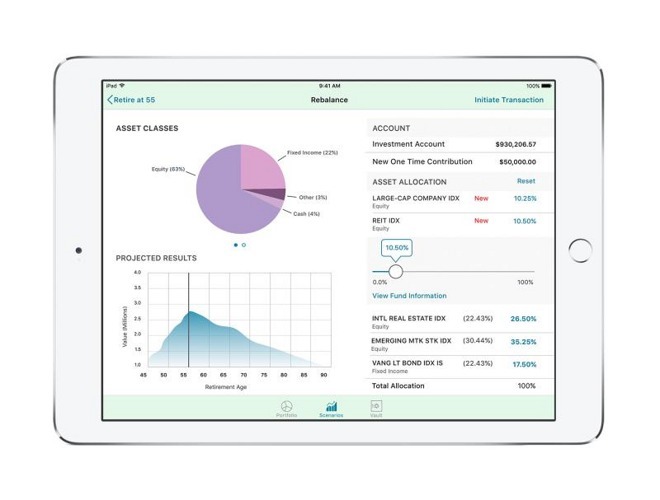 IBM is "currently developing" apps for the iPad Pro, a press release said. the company didn't offer many details, but promised to exploit the tablet's better performance and screen size, as well as iOS 9 multitasking. It did suggest however that some apps will make use of the Apple Pencil, for instance letting someone design a room, log transactions, or annotate maintenance logs. Much of Apple's marketing for the Pro has involved targeting the device at businesses and professionals, particularly through accessories like the Pencil and the Smart Keyboard. Indeed, before the tablet shipped the company was demonstrating it at Disney and Pixar, which have close corporate ties with Apple. The MobileFirst partnership first arose in July 2014. Since then IBM and Apple have become closer in other ways as well, with IBM adopting MacBooks and Apple Watches for its workers, and developing the Swift Sandbox, which lets people try out Apple's Swift programming language via a Web browser.